Lifeproof vs Otterbox. Not sure if you want a custom Otterbox, or need a waterproof case or maybe you are primarily interested in the best screen protection? Maybe you want the best overall protection and the most inexpensive personalized phone case? Or maybe you are thinking about the old saying "You get what you pay for" and you know that the most protective case and the most stylish phone case aren't cheap. Our phone case comparison chart will guide you through selecting the best case for your device so you can be sure your new custom phone case is exactly what you want! 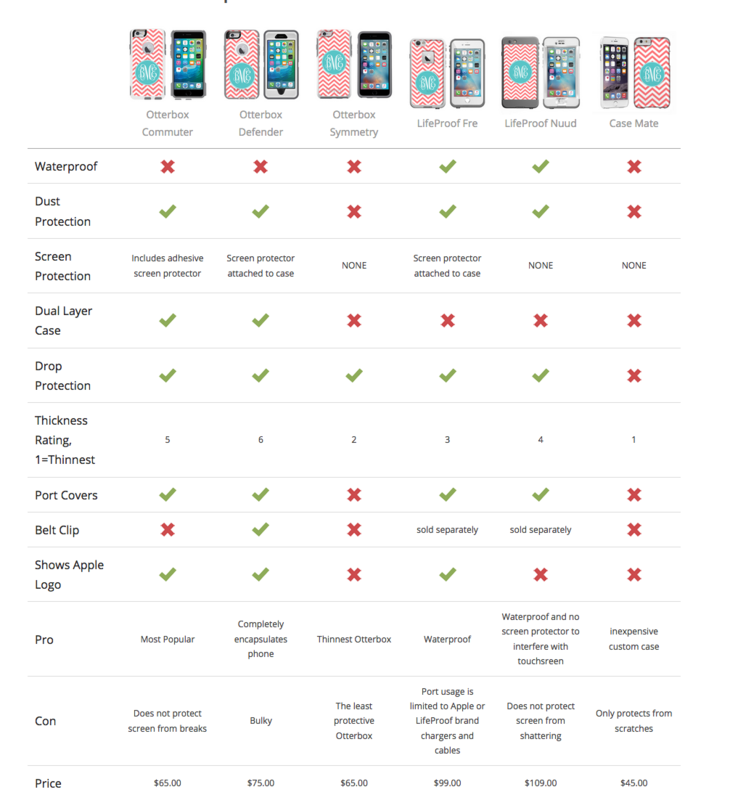 Check out our phone case comparison chart to compare LifeProof cases, Otterbox cases & Case-Mate cases to see which one is best for you.